The KE Diet is a revolutionary, safe and very effective non-surgical weight loss method. For 10 days, the KE Diet supplies your body with a very low-calorie, protein and fat-rich solution, delivered through a tiny feeding tube (about the size of a string of spaghetti) which goes through your nose directly to your stomach. There are no drugs and no surgery. The solution is delivered 24 hours a day through a small pump. You carry the pump and the solution easily and conveniently in a shoulder pack that we provide. The solution is a proprietary mixture of proteins, fats, vitamins and other elements designed to maintain essential nutrition and health during the 10-day period, while suppressing hunger. The KE diet involves a proprietary mixture of essential protein, fats, vitamins and minerals delivered through a small nutritional tube (about the size of a string of spaghetti) that goes from your nose directly to your stomach. The tube is placed easily and painlessly in approximately 30-60 seconds in the office. 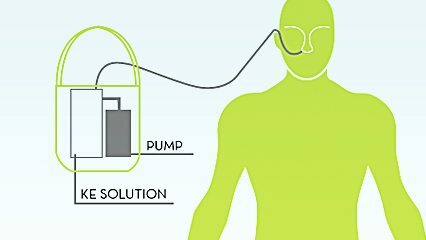 The solution is delivered 24 hours a day by a small pump that you carry around in a convenient shoulder bag. 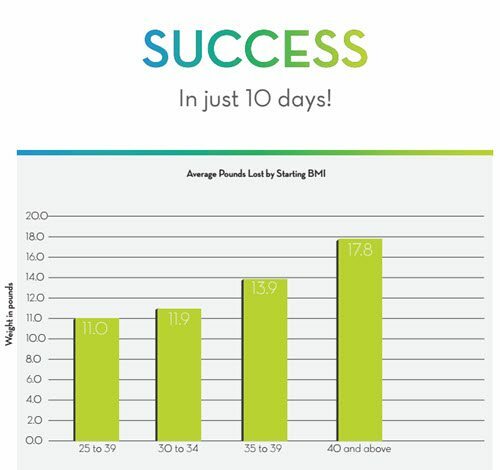 into deep nutritional ketosis that produces dramatic results in just 5-10 days. patients can lose 1 pound every eleven hours, which translates into approximately 2 pounds per day! they regain the weight they lost and sometimes even more. because it allows you to be metabolically flexible which ultimately leads to long term success. Read Dr. Kirson's letter to Dr. Oz about the KE diet. Lose 10-20 pounds in just 10 days.